Total Quality Management, Policy Deployment, Daily Management, Deming Price, Malcom Baldridge Business Excellence Model, Lean, TPM and Six Sigma. Certified examiner by IMC for RBNQA (Ramkrishna Bajaj National Quality Award) for 7 years. Certified Six Sigma Black Belt. Certified lead auditor for ISO 9001. Assisted Past Employer to achieve Deming Prize in 2004. Have led 3 teams of examiners for RPG Organizational Award (RPGOE) assessment based on EFQM/CII Excellence Model. Acted as a Judge in Lean Six Sigma Convention. Has led many TQM Intervention Projects. 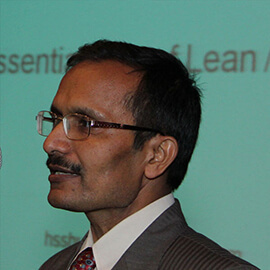 Ex Head of Quality Based Management (QBM) in three manufacturing locations of CEAT Ltd.
During the process, has educated all the people towards TQM, has established structured systems of TPM / WCM /TQM ( DM and BM) viz PM, AM, Kaizens, 5S, Quality improvement and problem solving process ( PDCA and Six sigma), has conducted several in-house examinations, audits and diagnosis. More than 30 years of experience of Implementing TQM, Lean, Six Sigma & TPM in various industries. Have faced audits by reputed examiners from JUSE like Prof Kume. 4 years in a CEAT tyres Ltd. 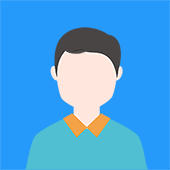 Being a shopfloor person, he enjoys handholding people in establishing the concepts at various levels including those who are working on shop floor and those who are guiding and reviewing them.